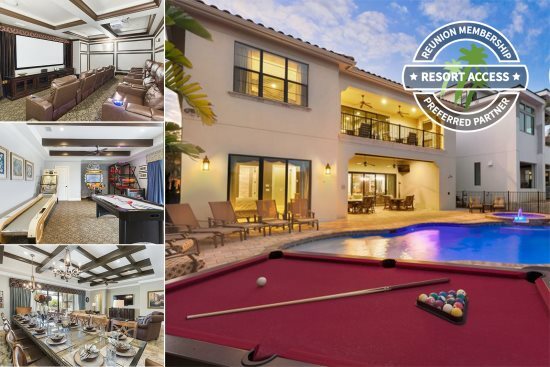 Reunite your friends and family together in Orlando Vacation Home Rentals by booking with Reunion Vacation Homes. Relax after days at the theme parks and share precious time together creating memories in Florida. 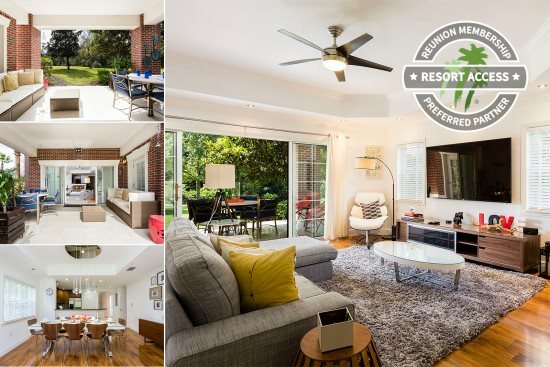 We offer vacation rentals in select Orlando area resorts, all in prime locations close to Disney® such as Reunion Resort, The Retreat at Champions Gate, Windsor at Westside, Solterra Resort, Windsor Hills, Formosa Gardens, Solara Resort , Storey Lake and Solana Resort. We have vacation rentals of all types, from 2-3 bedroom condos, 5-6 bedroom vacation homes with private pools and 10-14 bedroom luxury villas. 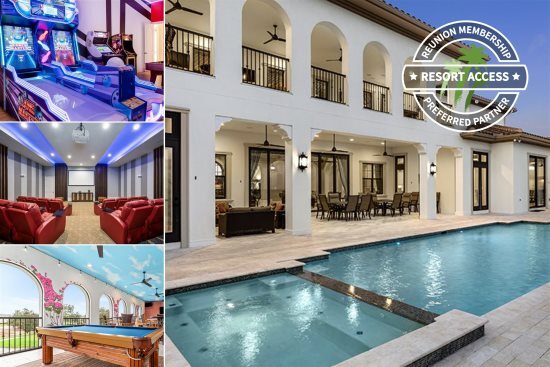 Orlando Vacation Home Rentals | Orlando Villa Rentals| We offer something for everyone, over 200 luxury villas and condos located in Reunion Resort Orlando. From large villas suitable for corporate retreats to 3 bedroom condos ideal for snowbirds looking for some Florida sun. Estate homes in Formosa Gardens, Townhomes with splash pools in various communities. Great value 8 bedroom vacation homes for multi-generation family reunion's or sports team accommodation in The Retreat at Champions Gate and Windsor at Westside. But mostly vacation homes with pools designed for families with children. Contact Our Experts To Plan Your Orlando Vacation! The Best Orlando has to Offer! 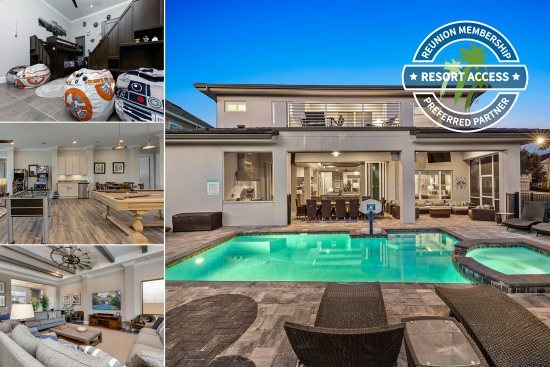 Reunion Vacation Homes is your premier source for vacation rentals in the finest resorts in the Orlando area, all in close proximity to the Walt Disney World®. Enjoy stunning golf course views in Reunion Resort, a beautiful 2,300-acre gated community. Relax whilst you float around Lazy Rivers in Solterra Resort, The Retreat at Champions Gate and Storey Lake. Surf on the Flow Rider in Solara Resort or speed down the new slides in Windsor Hills. These vacation rental home communities have all you need for an awesome visit to Central Florida. Well known for their great location close to exciting world-class attractions such as Universal Studios®, Sea World® and of course amazing shopping and dining, all of which are typically just a 20-minute drive away. We’re an established property management company that consistently delivers “home away from home” experiences. 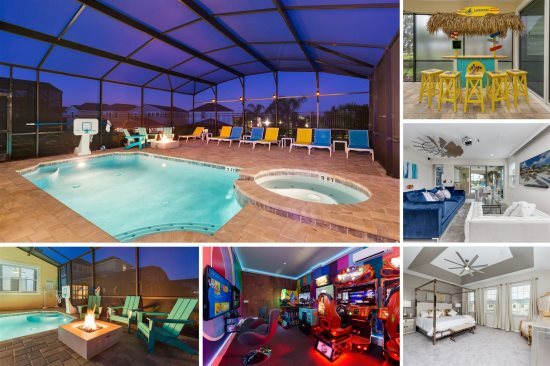 Whether it’s a family vacation, golf getaway, business event or group get-together, vacation rentals in Orlando resorts have something for everyone. If you're interested in our comprehensive property management and marketing services please get in touch. We're actively growing our Orlando vacation rental inventory. Don't rent your next vacation rental, Own It! Contact us if you're interested in exploring real estate opportunities during your stay. 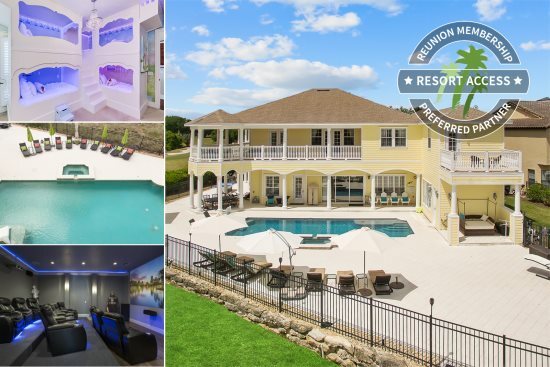 Reunion Vacation Homes is an independent property management company, not affiliated with any resorts, that manages privately owned vacation rentals. We are dedicated to creating the perfect vacation in the Orlando area, the number one family destination in the World. 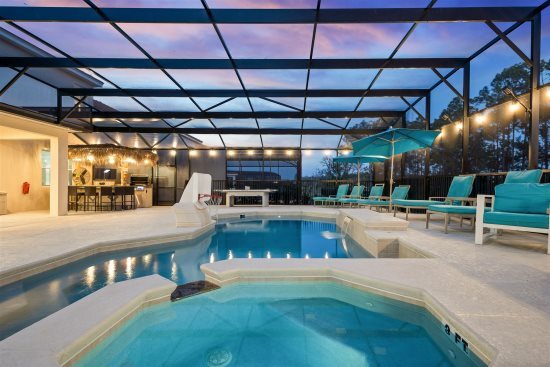 We manage a large selection of vacation rental properties located in the Kissimmee & Davenport area, such as Reunion Resort, Windsor at Westside, The Retreat at Champions Gate and Solterra Resort. We are here to assist you during every step of your Orlando vacation. Our team of vacation experts knows each property intimately to help you choose the perfect vacation rental for you. Our local personnel is on hand to respond to our guests needs 7 days a week. We look forward to welcoming you!